Radiaki is like Doom, or many lowly clones of Doom. There’s a dumb plot, a funny villain and odd monsters (it’s not a game that takes itself very seriously). 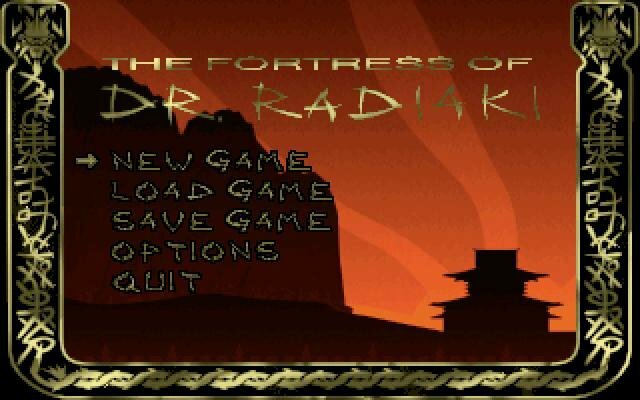 In Radiaki, you’re a super agent sent to penetrate the good doctor’s fortress and stop Radiaki before he can loose nuclear vengeance on the world. 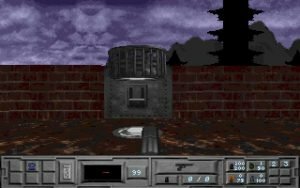 His fortress — a multi-level affair, with him at the top and you starting out at the bottom — is guarded by a cast of zanies that gives Radiaki its uniquely comical qualities, and sets it apart from all the other first-person shooters out there. Among the characters you’ll meet and kill are Castro-loyal guards that look just like Fidel, complete with beard and cigar. And when you blast them, the Cubanos moan “Madre de Dios!” or “Ayiiee! Mi cabeza!” There are big alligator-men, who make a little sound like a sneezing Yorkshire Terrier when they attack. And then there are the sneaky Ninja, who mutter “The Horror!” and “Rosebud…” when you off them. It’s funny the first couple of times, but these sounds get old fast. 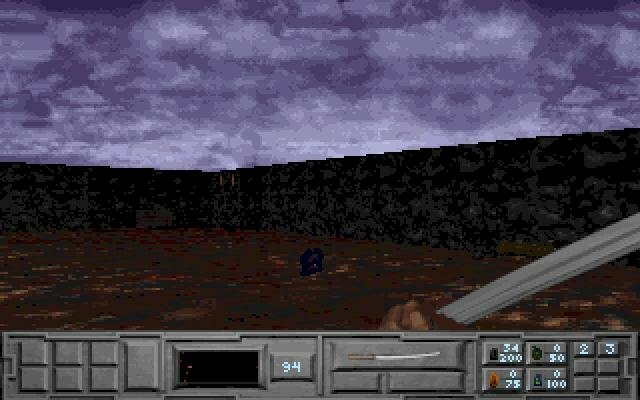 To its credit and unlike the enemies in Doom, who tended to chunk out into big, fist-sized pixels at close range, the villains of Radiaki look decent when you close up on them. And they’re plenty deadly, rushing you in droves sometimes and pounding through ammunition like it’s going out of style. You’ll find a range of weapons, including a samurai sword, machine guns, rocket launcher or flamethrower. 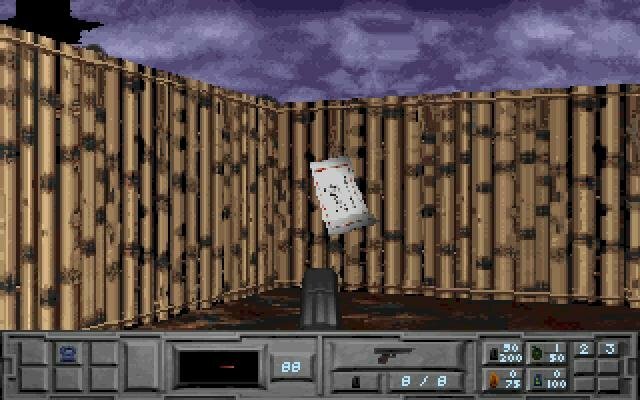 Like in the more advanced Shadow Warrior game, you’ll have to reload some of your weapons when you run out of ammo. The problem is, though, that Radiaki’s levels don’t really give you much room to enjoy the gunplay. 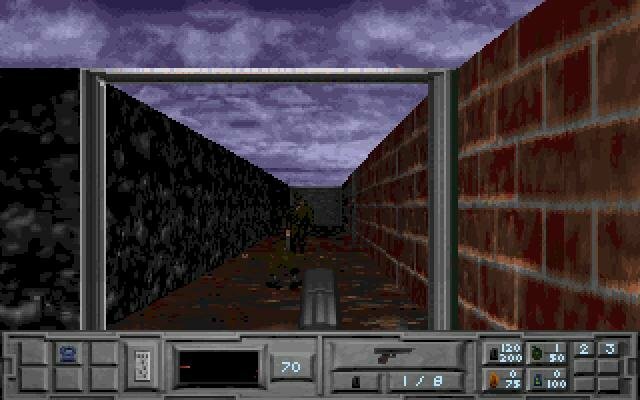 Most levels are full of narrow corridors and smallish rooms, really limiting your ability to fake out an enemy, maybe take a shot at him and then spin off, run toward cover, and turn back to finish him off. And so too many confrontations feel like toe-to-toe slugfests, with no opportunity for strategy. 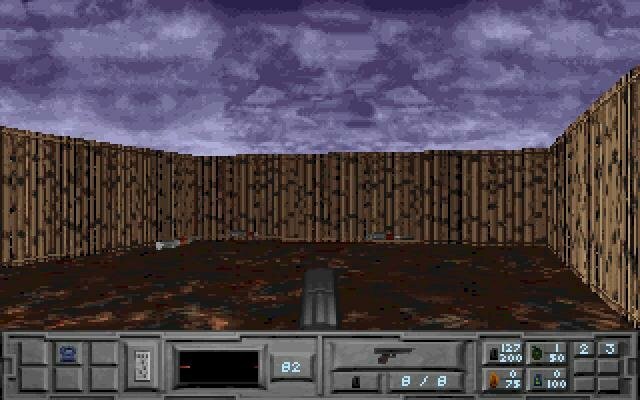 Making the level architecture even more confusing (and a bit tiresome) is the fact that there’s no real variety of wall textures. Most of the time, you’re in an all-green, mossy-looking area, or an all-grey stone area. There’s very little mixing of wall textures, and so areas tend to look the same, with few useable landmarks to help you figure out where you are. You’ll be referring to the automap a lot in this game. 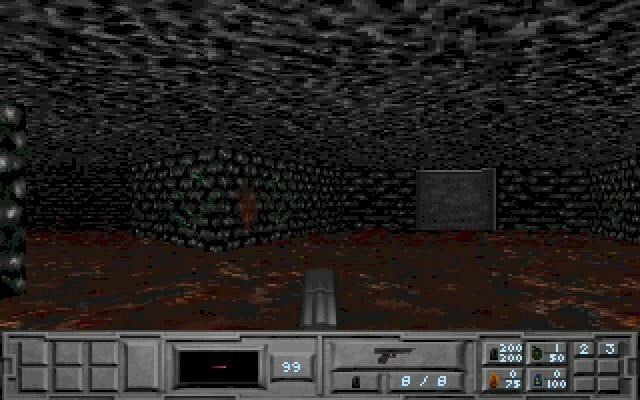 The bland levels can really make you appreciate the creepy map design from Doom II, to which Radiaki is the polar opposite. The first and foremost problem with Radiaki is the written-in-stone control scheme which doesn’t support strafing. The automap is next to useless in helping you find your bearing, and the simple levels and key hunts don’t offer anything you haven’t already seen in a myriad of other shooters. 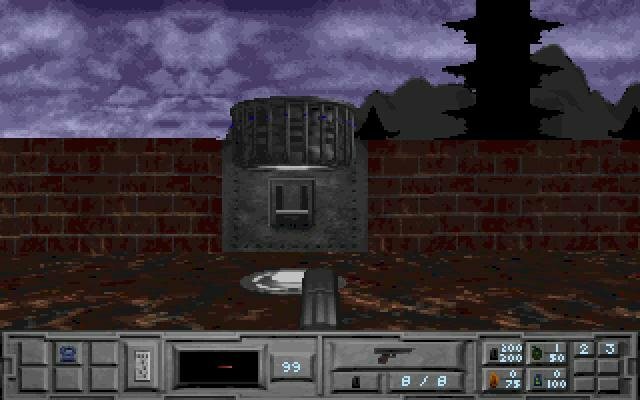 Combined with the unappealing graphics, Radiaki oozes of amateur slapstick game design that was so common with second hand clones during the 90s. Newer than Doom, but looks much much worse.